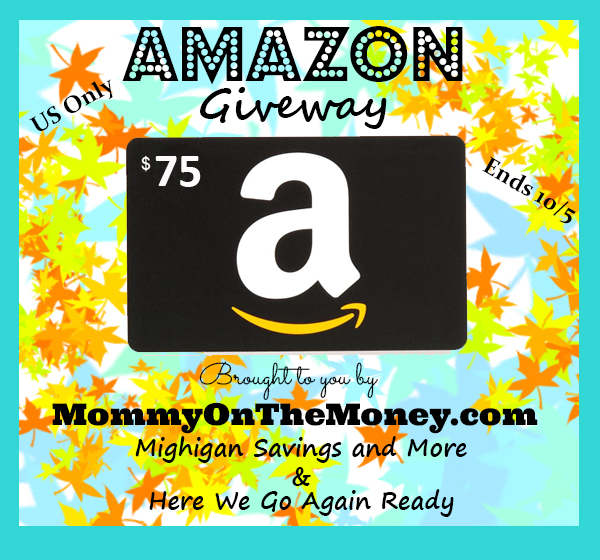 If you love to shop on Amazon, we have a Giveaway for you!!! We pulled this one together on our own, pitching in with two of our FAVORITE sweepstakes bloggers and bringing this one out just in time for our favorite season! Why Amazon? Because we LOVE it! There are so many benefits you can get from Amazon Prime. From free shows to free shipping, it is well worth the cost. If you have Prime almost all of your shipping will arrive in 2 days. If you use Subscribe & Save to save you can get 15% off kitchen staples. For many people life without Amazon is hard to imagine, you just need the funds to keep up with your wish list. This is why we teamed up with a few awesome bloggers to give away an Amazon Gift Card! If you haven't checked out all the benefits of purchasing an Amazon Prime Membership, you can see them all here and get your free trial if you haven't done so already. Get your DAILY entries in our GIVEAWAY below!!! 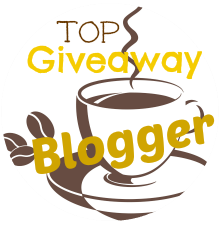 and Co Hosted by two AWESOME giveaway bloggers!!! ONE winner will receive a $75 Amazon Gift Card. *Winner will be chosen randomly, entry verified, and notified via email used to sign in. Failure to respond within 48 hours forfeits the prize. MommyOnTheMoney.com is solely responsible for awarding the prize. The prize will be emailed directly from Amazon.com. MommyOnTheMoney.com reserves the right to substitute a gift card for the $50 value of the prize if necessary due to shipping/delivery issues that may arise. This giveaway is in NO way sponsored or affiliated with ANY other brand besides MommyOnTheMoney.com and bloggers named as cohosts. Me and my six year old son LOVE playing with Legos. We like getting kits that you can build three different things out of one set, and we love creating new things. He's very creative and we create some really neat new things! I'd love to win so I could by my grandchildren more books, and myself of course. They see me reading all the time and they have wanted to read with me, but we have read all their books, so they want new ones. I'm so happy to have little readers reading with me. The Share any post on Facebook entry says it doesn't exist and the Follow Stephanie Bourne on instagram doesn't have a link to follow. Those entries have been corrected. Thanks for letting me know! I would start my Christmas shopping. I would buy a toy for one of my grand kids. We love lego's in our house! The kids think they are fun, and I think they are great learning tools about building and creating! I would get a pair of boots for my youngest daughter. She has outgrown all of her stuff from last year. It's crazy how much she has grown. Thank you! I would get the PLL Book series. I would get some sweaters and sweatshirts for my oldest. He's growing like a weed! I would buy science kits for my nieces Christmas. I would buy some books from Amazon. I would buy some K cups with the GC. I will buy books, craft and learning supplies. I will buy snacks or clothes. I want to buy Christmas presents and books! I would get supplies for my cats, we moved and they need new scratching posts and beds. My son has outgrown his pajamas. I'd buy pjs. This would go into my Amazon "bank" that I'm saving for a new computer.